So, twenty four years ago to the day, at around 5.30am on 8th February 1993, under cover of darkness with blue lights flashing wildly, a squad of Metropolitan Police officers forced their way into my home near Arundel in West Sussex, in an operation considered significant enough to warrant its own code name: Operation Spider! Why? Was I some known villain, perhaps a violent criminal with a long record? Absolutely not… I was simply a family guy, happily married with two young sons and, if you excluded the odd speeding offence, had never been in trouble with the police. I did have a fairly unusual occupation at the time though. I was a professional racing driver (that’s me on the video compilation below), but unless you were into the sport, you’d probably have never heard of me and anyway, I was out of work at the time. In that respect, I’d been having a spot of trouble with a certain PPI insurance company. It had all begun following a horse riding accident in Malaysia and my subsequent unemployment. Whilst at the time you may not have heard of me, you also possibly wouldn’t have heard of PPI Insurance. However, that was about to change and now just about everybody has heard of both PPI and what it stands for. But just in case you haven’t, they’re the companies that are now, twenty years on, in the dock themselves for some extremely unethical practices! I detested being given the run around by an insurance company who, I believed, were trying to avoid paying my legitimate claims, so I’d written to the BBC TV’s Watchdog programme. Watchdog then ran a massive exposé and by the second programme hundreds and hundreds of viewers had phoned in, reporting they’d suffered similar problems with the same insurer. As I’d copied my BBC letter to my PPI insurers, they knew precisely who was behind it. As it was, my case didn’t even feature on the programme because my letter had already done the trick quite nicely and they’d responded by paying my claim! Years later, Watchdog presenter Nick Ross, voiced the “Watchdog” section in the Chequered Justice Audio Book for free. However, clearly unhappy, they also responded by putting me under months of ongoing surveillance by no less than six different firms of unlicensed private detectives. One by one they all reported back that my claim appeared legitimate, but finally, another suggested that I couldn’t have been injured at all as they’d watched me, out each day riding horses and mucking out stables. Unfortunately this private detective had somehow watched the wrong person, managing to confuse me with a completely different man of a similar age… the husband of a lady who’d been using our stables. The Watch Dog programme had clearly ruffled some feathers, and doubtless cost the Company a lot of money – I was later told the combined effect of lost business, ‘damage to reputation’ and settling claims previously avoided, was likely to have run into many millions of pounds. So, you may think a few rather powerful people in very high places had a bit of a grudge, and perhaps wanted a spot of revenge… I’m not allowed to comment. 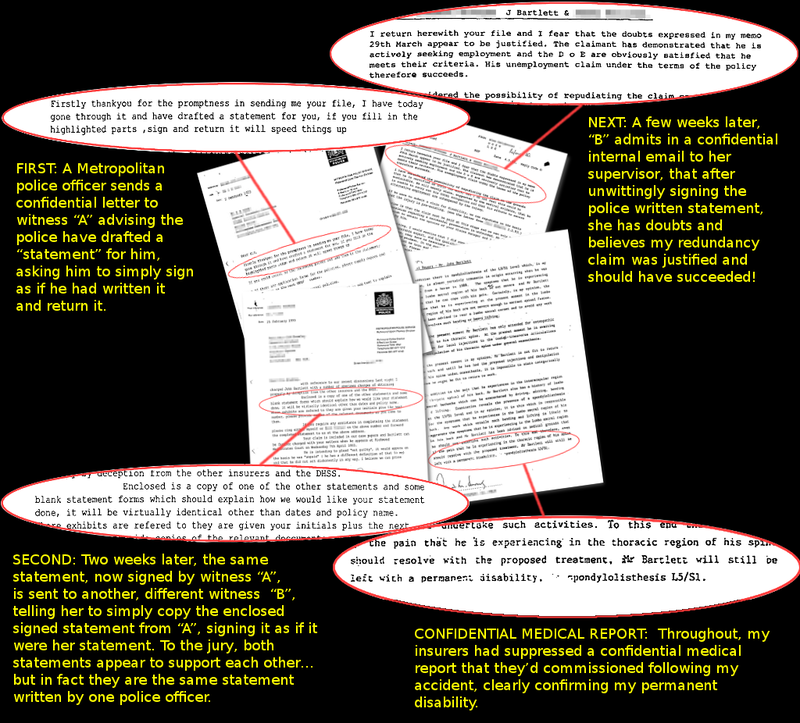 In any event, the inaccurate report, produced by that incompetent private detective, was forwarded to a high level “contact” in the Metropolitan Police by my insurers and triggered what I felt was a totally out of context and brutal raid. Of course, at my trial, the jury were never allowed to know any of this. Why? Very simple… following the raid, officialdom very quickly discovered that the private detectives report was incorrect, so it couldn’t be used in the subsequent trial. Therefore we weren’t allowed to refer to it in evidence, although the private detective was invited to attend the trial by the CPS and brief the Crown witnesses in the waiting room prior to their giving evidence! Anyway, what happened during that raid was very relevant. The object of a dawn raid is, I’m reliably informed, to cause shock and alarm… and in this respect the shock tactics worked very well, although not quite as planned, because I was five hundred miles away in Scotland at the time with my wife and two sons. However, my 79 year old mother was home… As cars screeched to a halt and the officers forced their way passed her in her nightdress, she collapsed and was later diagnosed as having suffered a stroke! Suddenly, there was a very serious risk of the Metropolitan Police being accused of causing the death of an 79 year old woman, after acting on the advice an unlicensed private detective. Nowadays the Metropolitan Police seem to get away with killing a few people without too much flack. Recently for example, there was the Ian Tomlinson case, the newspaper seller who was killed during G20 protests. But back in the 90s it was a bit different, and this was an 79 year old woman! Although still planning to sue everybody in sight, I thought it best to calm down just a little and co-operate with the police, explaining anything they didn’t understand. But, before I go on, perhaps I should explain a few things to you, the reader of my blog. At that time I was a very driven person; I simply lived to race and was determined to follow my dream. In that respect maybe my ambitions exceeded my abilities… sadly, I will never know the answer to that one. Perhaps that didn’t make me the best husband or father in the world, I know that now, but I really loved my family as well as my job. However, it had been my dream since childhood to make it as a professional driver and just prior to the general meltdown in the economy, I was really beginning to get there, securing lap records and wins. Then the recession resulted in the collapse of my team! Despite the deepening slump however, I’d just helped pull off a major coup, prior to the police raid, using a new and rather novel “prize Indemnity” scheme, establishing a new team and sponsors for whom I’d drive in the forthcoming season. That’s what I explained to the police, albeit over several hours of taped interviews. And their response? Well, not a lot… that is, if you exclude scratching their heads over prize indemnity and then simply informing everyone involved with the new setup, and just about everybody that knew me, that I had a long criminal record, and was a nasty piece of work that belongs behind bars! But as I said before, I had no criminal record! And one other significant detail: the officer leading the operation, then proceeded to write all the witness statements himself, rather than troubling the witnesses to do it (click on the documents to the left for enlargement). Some may consider that a little biased… I couldn’t possibly comment. It was shortly after this that something else happened, something completely unconnected. The bank that had sold me one of my policies, bounced a series of cheques by mistake. They said it was a computer error but I was already fuming over the PPI policies they’d sold me and the recent raid. This time I didn’t hesitate, I issued proceedings against them in the High Court. The cheques had amounted to just over £16 but the bank ultimately settled for £4,000 and the next day it was all in The Sun newspaper! “Bank pays Client £4000 for Cash Slur.” Well, I wasn’t exactly making friends… and what’s more I’d used my legal costs policy, provided by the bank I was suing, to sue them! Some people may think I was in fact making enemies… but I didn’t need to. Thanks to the helpful police officers, I appeared to have inherited an entire army of witnesses, all with neatly prepared statements (the ones written by the police themselves), witnesses prepared to swear that I was the biggest villain since All Capone. So, why had I kicked up such a stink? Well, I’ve always hated being bullied or pushed around by anyone… big organisations or big anything. It didn’t matter how big they were, I think I must be genetically programmed to oppose it – I’d always fight back. It was a bit of an exposed nerve, something that went way back to my boarding school days where I was always being picked on and beaten black and blue by teachers and bigger kids. Anyway, I was livid at what was happening and what the police and insurance companies had already done to my reputation. The country was in deep recession with over 3 million people unemployed. I was just one of those 3 million and was claiming monthly, on my PPI Redundancy and Accident policies following the Malaysian riding accident and my subsequent redundancy. After a disagreement with my insurers, who I believed were trying to avoid payment, I’d written to the BBC Watchdog programme and shortly afterwards, a big exposé had occurred, putting PPI under the national spotlight for the very first time. I was put under ongoing surveillance by my insurers and then, following a case of mistaken identity, a report was sent to the Metropolitan Police resulting in my home being raided. My mother suffered a stroke and immediately after the raid, the police discovered the mistake made by the private detective. Perhaps that was a little unnerving for them? A little later, my bank, the bank that sold me my PPI policies, bounced a couple of cheques by mistake and I responded by suing them, using their legal costs policy – provided and underwritten by themselves! Now in a checkmate situation, they’d settled for £4000.00, The Sun newspaper gleefully featuring the story. There was also a completely unconnected case taking place just 5 months prior to my arrest. That case involved a British racing team run by a Vic Lee. Vic Lee had pleaded guilty to importing £6M of cocaine in his Teams racing transporter. The Vic lee case had taken place in South London, where my trial was to be scheduled. Note the comment that: ‘Investigators will now try to find out if the motor racing connection has been used before.’ Did the Crown think, with me they’d hooked another “Mr Big”? All I know is that the circuit Judge suddenly and very specifically requested to ‘sit’ on my trial and then, at each pre-trial hearing, made very obvious references to ‘drug money and money laundering’. Around this time my solicitor had been saying that the Crowns case was crumbling and all charges were likely to be dropped. Consequently, I started to write a book called Broken Dream, about what had happened and to prepare civil proceedings to sue everybody I could lay my hands on! The Metropolitan Police responded by kicking the original officer off the case, bringing in a superior and writing to my insurers warning them that I was about to sue. My insurers responded by suspending my legal costs policy, stating they were only required to provide cover if I had a good prospect of success and as the Crown Prosecution Service are only allowed to proceed if they have a good prospect of success, my insurers considered I clearly couldn’t have! I now had to rely on Legal Aid. Well, my insurers saw The Sun article and clearly didn’t like it. 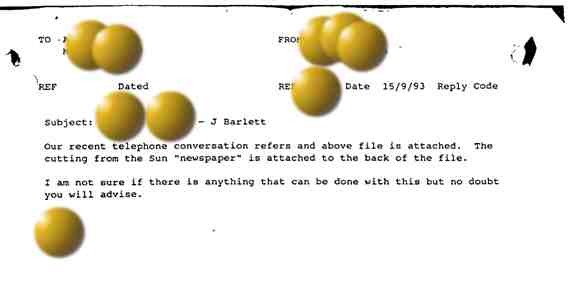 A confidential internal email was sent from their claims department (click the image to see) asking if anything could be done and a reply the same day refers to trying to “rekindle the police interest”. The Metropolitan Police kindly obliged by raiding me again for a second time and during that raid they took away all my privileged defence documentation, prepared by my solicitor for the forthcoming trial. On leaving, one of the officers whispered: You’re going down, son! Get used to it, that way it won’t be such a shock when it happens… you’ll have plenty of time to write your little book! If the events that had overtaken our lives by this point weren’t bizarre enough, the trial that followed was mind boggling and deeply flawed on many levels, with so many strange events and rulings that the trial itself should clearly have been investigated. Instead, the Crown prosecutor was promoted and the Metropolitan Police, paid a share of my fathers Will following it’s seizure and confiscation by the Crown! 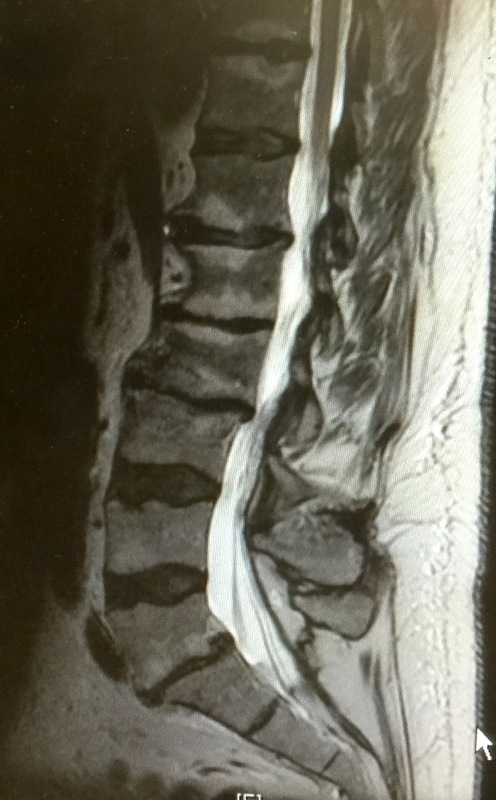 Just one mindbogglingly bizarre ruling was the judges refusal to allow the spinal surgeon time to give his evidence and explain to the jury the implications of the x-rays (see left)… in fact my jury were never even shown the all important x-rays! Subsequently I was warned of severe consequences should I publish a factual account of the trial itself or the proceedings surrounding it, events that would later be dismissed officially as a string of coincidences, flukes and regrettable errors. 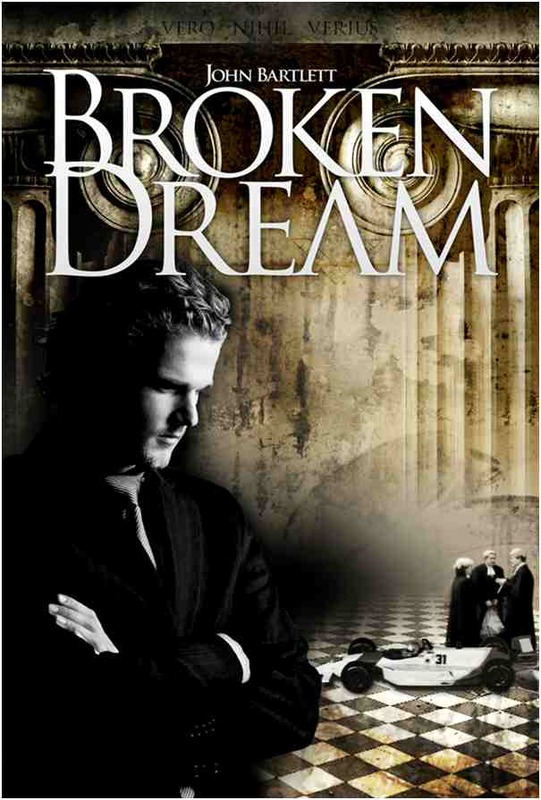 So, despite living in a country with supposed free speech, I was never permitted to publish my original factual book, Broken Dream, but I was allowed to write a “novel or a fiction” based on it! In 2010, Chequered Justice was finally published as a hardback. It sold out in less than 4 weeks and was subsequently republished in bulk paperback format (subsequently reprinted five times to date). In 2011 it was released in Amazon Kindle eBook format, where it became a Number 1 Bestseller for over 3 months in their Legal Thriller and Courtroom Drama categories. In November 2012, my second book, Dark Horse, a prequel to Chequered Justice was published and in April 2014, the audio book of Chequered Justice, read by Leslie Phillips CBE was also released. 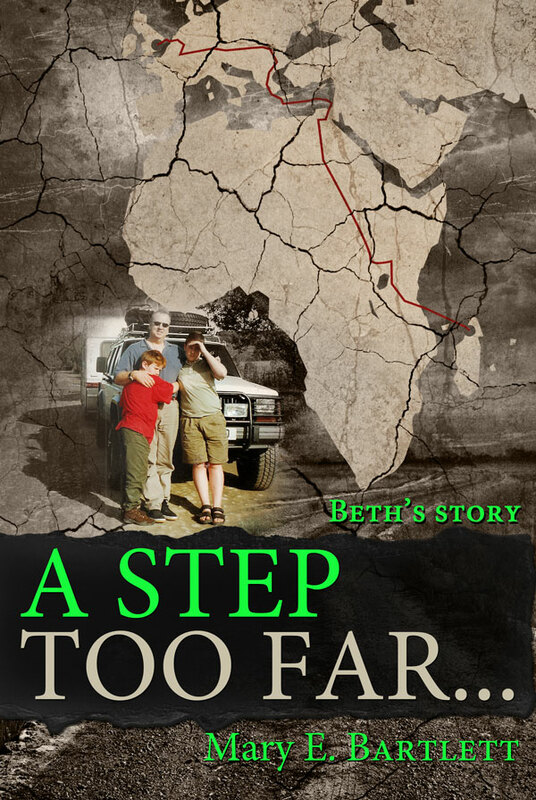 So what I plan to do next, having skipped over the trial itself, is to post on this blog what happened after it and our subsequent move to the rainforests of Madagascar… currently the subject of yet another book, A Step too Far, being written by Mary, my wife. More than two decades on, what happens next? I’m rather hoping the film, based on the books, will take my story to a bigger audience, but I can’t say too much at this time. 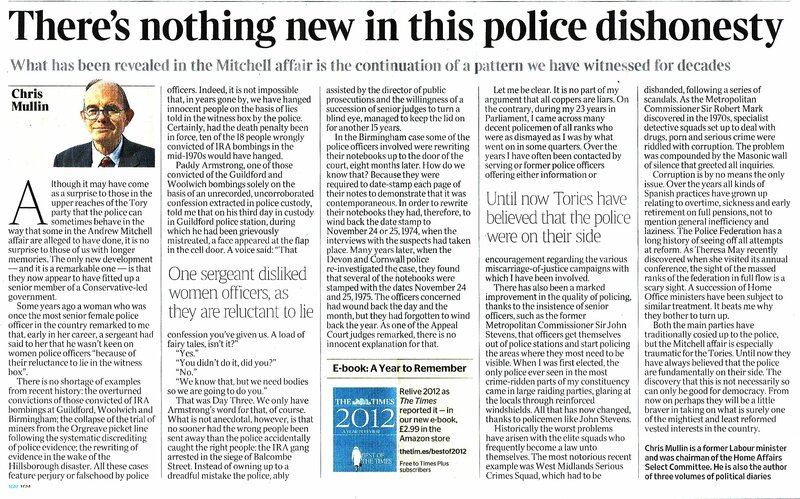 It’s a sad fact that 24 years on, we still live a country where many of our police are prepared to pervert the cause of justice and worse (click for a recent list), including: Perjury, Oppressive Conduct, Harassment, Assault, Sexual Assault, Serious Non-Sexual Assault and Corrupt Practice and where our MPs, the people creating our laws, regularly lie and deceive the electorate. So, what hope do I have continuing to battle a system that stands by whilst the innocent are destroyed by lies? For the public to retain any degree of confidence in a justice system, that system must first develop an open and honest approach to correcting its mistakes, rather than trusting in its limitless powers to suppress them. As I approach 63, having finally told my true story, I’ve more or less accepted that the past is in the past and most likely will never be resolved… I know that I need to look to the future, not remain stuck in mire that casts its shadow over everything it touches, but it’s tough to except. I certainly don’t blame my jury for what happened in my trial; after all, they were never allowed to see any of what you’ve seen on this blog. I have just spent 6 years battling a corrupt Government organisation that I can prove provided facilities to one of the biggest ever drug cartels in the UK, worth £100 million in 6 months (although it had been operating for more than 3 years). I have lost everything and have been surprised at the establishment’s lack of interest and willingness to instigate a “cover up”. Your story does not surprise me – this Country is far more corrupt than many 3rd World Countries that are famous for corruption. It starts at the top with those in power………. But why don’t people do something about it? Like you, the fight goes on……. Maybe a co-ordinated approach should now be arranged? I think it’s very difficult for anyone without firsthand experience to appreciate the hypocrisy that goes on in the name of justice or is covered up by those in power. To be fair, few have time to reflect on the sad reality, a reality which is very scary, as it undermines our core beliefs. For me, when I was plunged headlong into the events that overtook our lives, I had little choice but to confront them and have spent years attempting to expose our politically entrenched, self-serving system. I was still desperate to tell my story in the mistaken belief that someone in authority would take note and our boys were also desperate… for a McDonalds! So we returned. 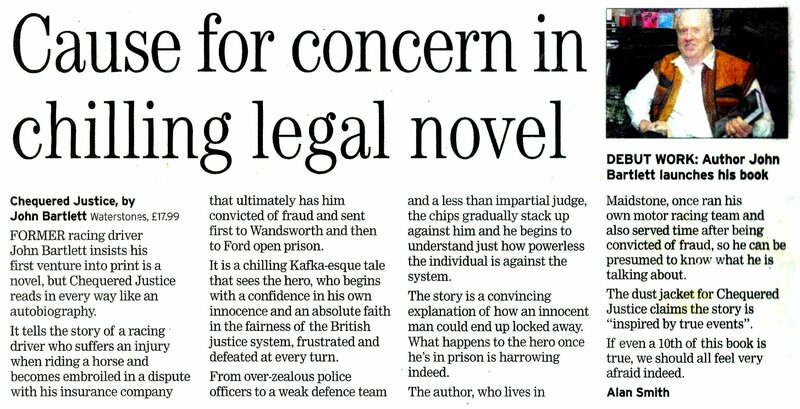 A few years later I published my story, Chequered Justice. Anyway, after 20 years of fighting, I have decided for my family’s sake as well as my own health, that I have to move on and try to put the past behind me, but if you are ever around (not sure exactly where you are?) it would be great to meet up for a chat and a spot of reminiscing of the good old days before our eyes were violently prised open. Kindest regards to you and your family. I think that what has happened to you is…well, there are no words that can describe other than criminal. It probably goes some way to the reason why we, as a group, had so much trouble getting in and out of Israel. Ha ha. I don’t understand why you don’t just have someone else write your story by way of an investigative report. These people need naming and shaming. Is that not possible? In 1998 a TV programme called Rough Justice made a 20 minute episode on my case to be broadcast by Channel 4. 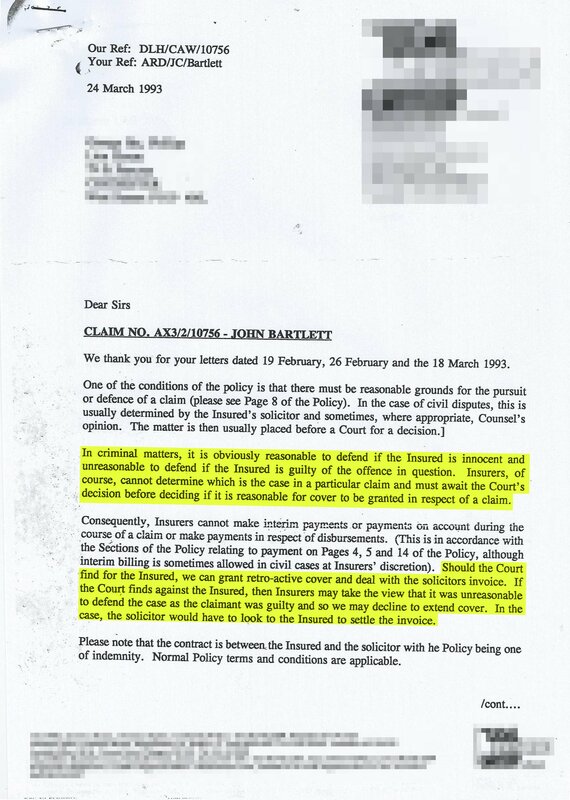 Rough Justice were required to give the insurance companies involved “right of reply”… their response was that they’d sue Channel 4 if the episode was broadcasted! It therefore never went out. Over the years I have been warned (threatened) that if I “continue to ride my little hobby horse” as it was put, I will come a cropper! As we entered the internet age, I was warned “you could be subject to arrest ..things could be discovered on your computer!” The public are however becoming increasingly aware of what has been going on over the years, so I live in hope and will not be silenced! Interestingly, in January this year, Guy’s Hospital diagnosed me having been suffering from Post Traumatic Stress Disorder for the past 20 plus years (a result of the raid & trial etc)! If you read Chequered Justice you will recall I had not been discharged from hospital, when the judge sent me to Wandsworth, against medical advise! So now, the very system that convicted me will now be funding a psychiatrist to treat me for the disorder that they, “the system” gave me!